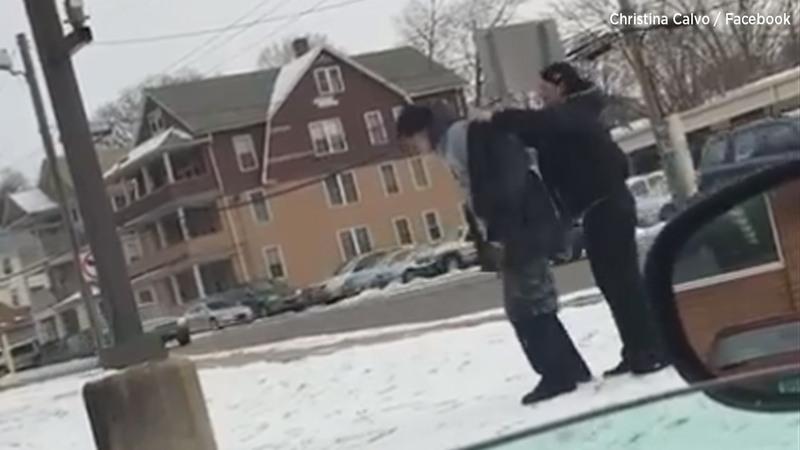 WATERBURY, Connecticut -- Video showing a Connecticut woman's generosity toward a stranger who was out in the cold weather has gone viral. Christina Calvo of Waterbury said she was driving down the road on December 15 and spotted a man with no coat. "I looked down and seen it's only 18 degrees out and I started to cry for him," Calvo wrote on Facebook. She quickly decided she wanted to do something to help him. "I drove to Burlington coat factory and bought the warmest coat I could find and sped back in hopes he was still there and he was! Nobody should ever be without a coat in this weather," she wrote. Calvo said the man was very thankful for the coat. She gave him a hug and wished him a Merry Christmas.